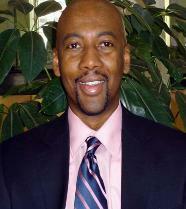 Mr. Kamau M. Lizwelicha is a Co-Founder of FRESH, LLC. He has over twenty-six years of experience working as an accountant; twelve of those years as a Financial Manager & Controller with the United States Agency for International Development (USAID). USAID is the U.S. Government agency responsible for the oversight, administration and implementation of our foreign aid program. Mr. Lizwelicha served as a Presidential commissioned Foreign Service officer in Ivory Coast, Uganda, and Zambia. Since leaving the Agency, Mr. Lizwelicha has been a consultant for international NGOs and companies providing project technical assistance in strengthening in the area of field operations, project implementation, financial and grants management systems. He has successfully facilitated grant management training courses in Geneva, Switzerland, Addis Ababa, Ethiopia, Baghdad, Iraq, Amman, Jordan, Juba, Sudan, and Islamabad, Pakistan. Mr. Lizwelicha was a Senior Technical Advisor for USAID/Liberia under the Governance and Economic Management Assistance Program (GEMAP). Mr. Lizwelicha has over 13 years’ experience with overseas operation start-up and has himself established several field offices. He has worked in countries such as Kuwait, Iraq, Kenya, South Sudan, Jordan, Ethiopia, Egypt, Zimbabwe, South Africa, Botswana, Guinea Bissau, Ghana, Liberia, Nigeria, Pakistan and Afghanistan.